Per the National Association of Realtors Profile Of Home Buyers over 90% of all buyers search for homes on the internet and these buyers consider photographs the most valuable website feature. The Servoss Group’s real estate marketing program focuses on professionally taken high definition photographs combined with unsurpassed internet advertising guaranteeing Tucson’s Premier Real Estate Marketing System. 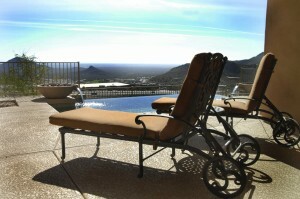 www.LuxuryTucsonLiving.com can be found on page number one of Google, Bing and Yahoo for the search “Tucson Homes For Sale”. Through weekly real estate blog updates, our community pages, featured listings and our search engine optimization support from Social Empire Media guarantees www.LuxuryTucsonLiving.com will continue to be listed on page one for over 200 keywords relating to Tucson real estate. Websites appear on page one of major search engines due to the content of the website or pay per click advertising. By utilizing Google Adwords pay per click www.LuxuryTucsonLiving.com appears under the page one sponsored link sections for over 150 words and phrases relating to Tucson real estate and Tucson homes for sale. The Servoss Group has partnered with Keller Williams Southern Arizona and Point 2 Agent to offer their Sellers access to the largest syndication networks in the real estate industry. As soon as a listing is input by The Servoss Group it’s automatically spread over 500 of the highest trafficked real estate websites on the internet. Social media advertising has recently become a very popular topic to discuss in regards to advertising real estate. The Servoss Group has been marketing real estate on social media websites well before it became popular within the industry and therefore was able to claim some of the top domain names. Your property will be marketed on www.facebook.com/tucsoncondos and www.facebook.com/tucsonproperties, www.twitter.com/tucsonrealtor and www.youtube.com/tucsonrealtor.